If you told me I could only order one kind of food for the rest of my life, it would be Thai food, hands down. 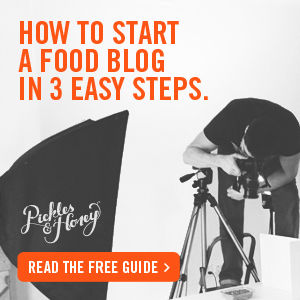 I love the sweet, salty, and vinegary flavors, the lime, cilantro, crispy tofu, rice noodles, and peanut sauce (oh, how I love the peanut sauce!). That’s why I decided I needed to put my own spin on one of my favorites, pad thai, to make a healthier vegan spaghetti squash pad thai. First, though, a little background: in our old neighborhood, Aaron and I used to live down the street from a Thai restaurant and we had a happy Friday night tradition of ordering fresh rolls, red curry with tofu, and pad thai (“no egg, no fish sauce, extra vegetables”). We would put on our sweats, cozy up on the couch to watch a movie, and then proceed to eat ourselves into a food coma. 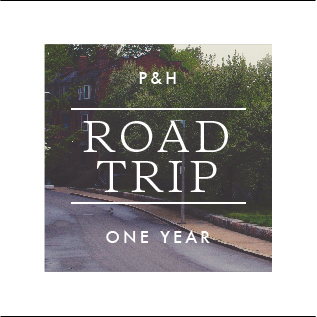 It was awesome, minus the food coma that I could never muster up the self-control to avoid. Where we live now is better in some ways, but proximity to good Thai food (or good food in general) is not one of those ways. 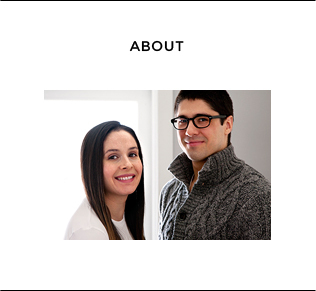 We make nearly all of our meals, both because I think the food we make tastes better and because it’s much more affordable (Boston is currently the 3rd most expensive city, eep!). It’s also a lot healthier and rare that we find ourselves in those shoulda-skipped-that-third-serving food comas. I needed pad thai in my life, so I set out to make my own vegetable-heavy version and you guys: I am over-the-moon happy with how this recipe turned out! I decided to use spaghetti squash instead of rice noodles and I’m obsessed with their tender but still slightly crunchy texture, and of course the extra veggie power! Then there’s the simple sauce: just three ingredients to create that quintessentially salty, sweet, spicy, and vinegary combination that Thai food does so well. I used broccoli, scallions and bean sprouts in my pad thai, but you could also add in sliced carrots and peppers too (I just happen to be “meh” on cooked carrots and peppers). For the tofu, I wanted it to taste a little more like restaurant tofu, so I gave it a quick coating in cornstarch and then lightly pan-fried it in peanut oil until it was golden brown and crispy. Perfection! 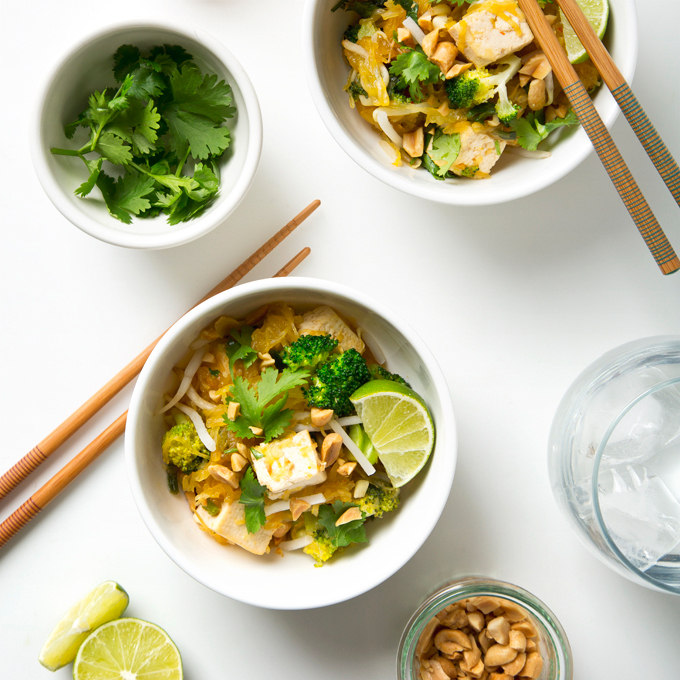 From there, you can top your vegetable pad thai with fresh cilantro, crushed peanuts, a squeeze of lime juice, and sriracha, and then go put on your sweats and cozy up on the couch with your favorite person and Netflix (or maybe Amazon Prime because have you seen Fleabag?). 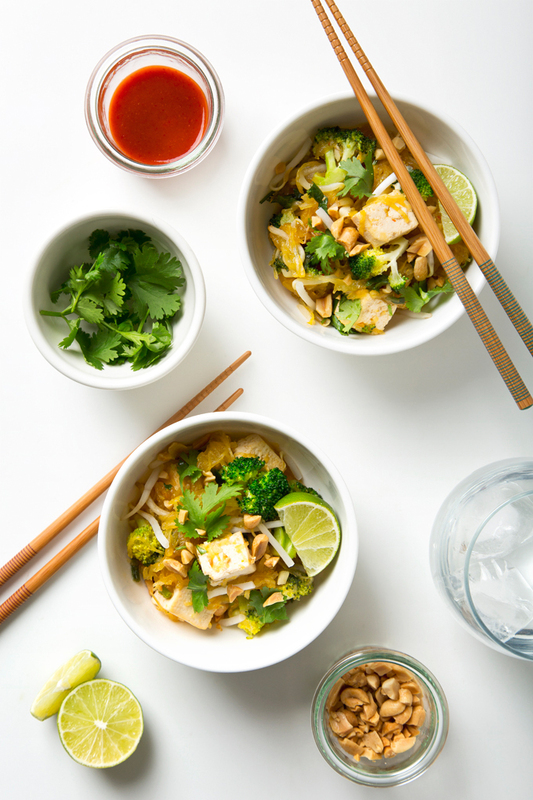 This vegan spaghetti squash pad thai is our new Friday night ritual and I’ve gotta say, I think this homemade version really does beat getting takeout. 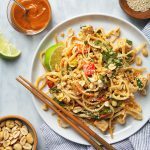 Easy vegan pad thai made with spaghetti squash instead of rice noodles and tofu for plant-based protein power! 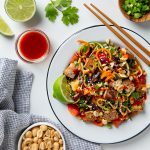 This pad thai has a simple 3 ingredient sauce, lots of fresh vegetables, and it's so much better for you than takeout! 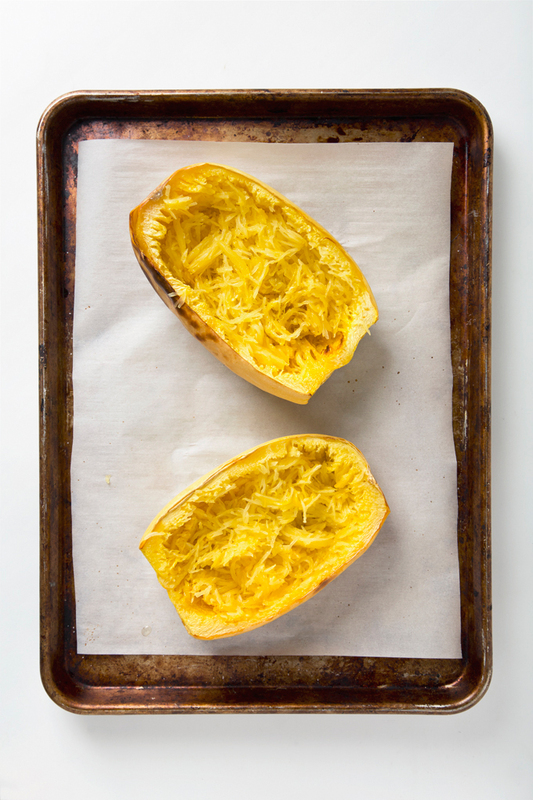 Slice the spaghetti squash in half lengthwise and scrape out the seeds. Drizzle with olive oil, sprinkle with salt, and place on the baking sheet cut side up. Roast until fork-tender, about 1 hour. Pour off any liquid that has accumulated, then use a fork to scrape the spaghetti squash into strands. Set aside. Meanwhile, make the sauce: Add all of the ingredients to a small bowl and stir to combine. Set aside. Heat a large skillet over medium heat. In a mixing bowl, toss the tofu in the cornstarch, making sure all sides are evenly coated. Add the peanut oil and then the tofu to the skillet and cook until golden on all sides, about 3-5 minutes. Add the broccoli and cook until tender but crisp, about 3 minutes. Add the scallions, garlic, bean sprouts, and spaghetti squash. Cook for 2 minutes, stirring every 30 seconds. Add the sauce and stir to evenly coat the noodles. 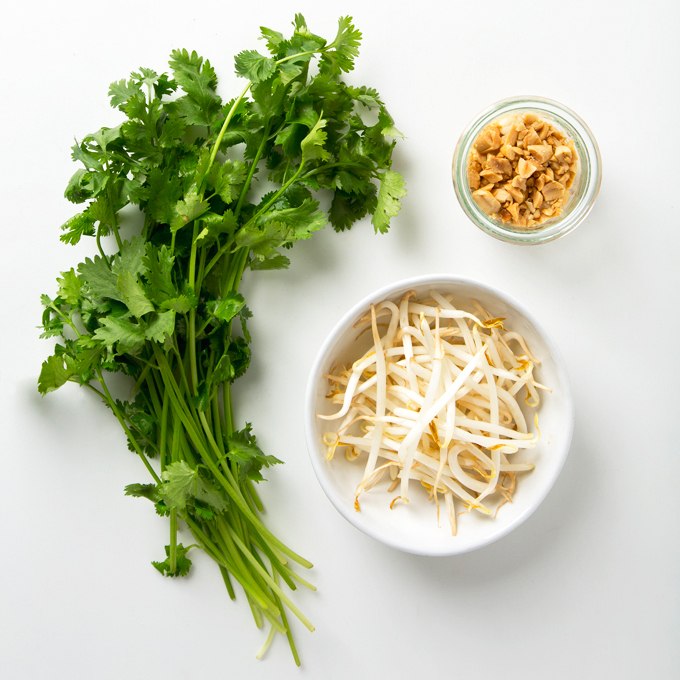 Serve with fresh cilantro, peanuts, lime wedges, and sriracha. Leftover Pad Thai will keep for 3-5 days in the fridge. Just discovered the magic that is the spaghetti squash. This is a lovely idea! Magic is a good way to describe it. 🙂 Pad Thai is my favorite way to use spaghetti squash to date! I can’t believe I still haven’t cooked or baked with spaghetti squash! I think it’s about time I give it a go, it’s the right time of year and this recipe sounds delicious. I just love Pad Thai. Thanks for the recipe. Well, this just looks perfect! 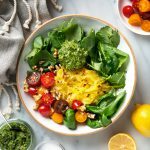 I make spaghetti squash every week and am always looking for new ways to use it. And Thai food is my favourite ever! My husband and I used to do the same, 1 green curry each, spring rolls and maybe Pad Thai to share, for sure it was enough feed 6-8 people. But it was so good!! Sorry to hear about your photos and content, that’s the worst. 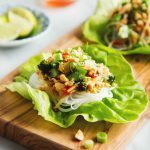 I am not a fan of spaghetti squash, but i think it works perfectly with these type of knock-off Asian stir-fry recipes! 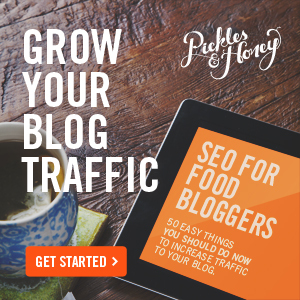 I should try this out next year when I get spaghetti squash from my CSA.